Our glitter sensory bottles have been really popular in our classes over the past few weeks and we are looking forward to showing them to many more of the little ones still to attend our superhero sessions over the coming weeks. We have lots of enquiries about how to make them so thought we’d do a little post on it. These bottles are perfect for little hands to hold and a glitter sensory bottle is such a good way of calming down a little one down, it is a relaxing visual activity, great at calming a stimulated child. 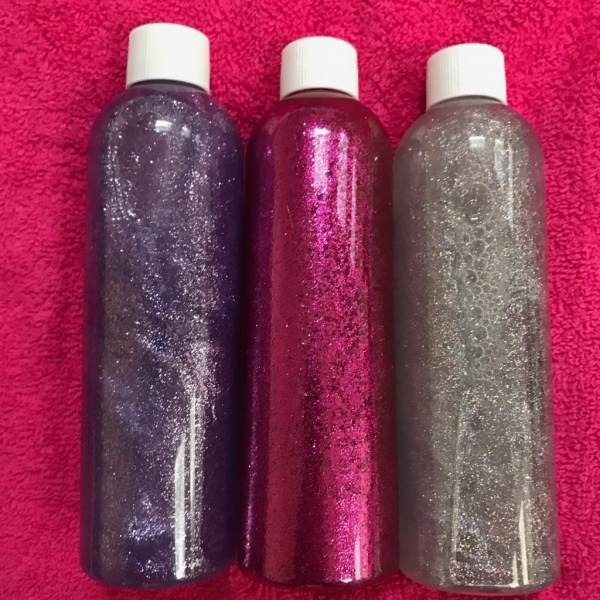 Our glitter sensory bottles are full of sparkle and are really easy to make. 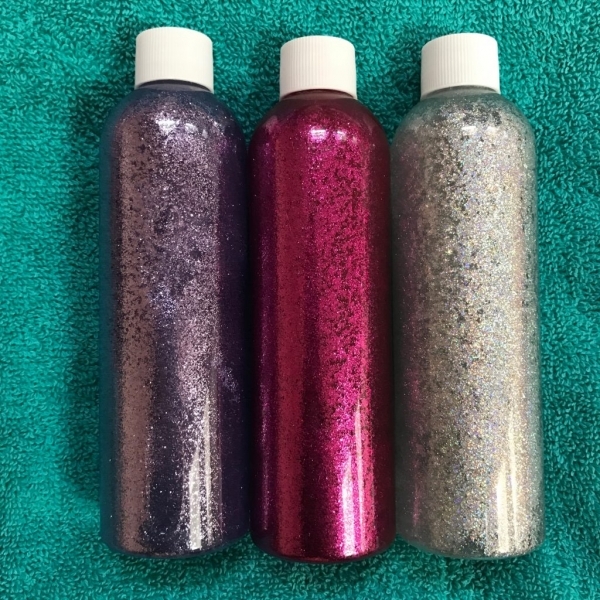 The bottles use 2 ingredients – glitter glue and water. To make them, boil a kettle and leave it to cool. Mix 60ml of glitter glue with the same amount of warm water in a measuring jug. Stir the mixture until there is no evidence of the glue and it is a watery/sparkly mixture (this only takes a minute or two). Pour the sparkly mixture into your bottle and allow it to cool down completely before topping the bottle up with cold water. Once you are sure that the glitter moves in the jar, seal the lid with glue.The glitter glue we used for our bottles was from glitz it and one bottle of their glitter makes 2 sensory bottles. If your glitter mixture doesn’t move, pour it back into your measuring jug, add some more water and stir it again. Once you have the glitter more mobile you can move it back into your bottle. The glitter settles when the bottle is not in use but it is easy to activate it again by shaking. We’ve made up glitter sensory bottles in purple, pink, silver, gold, green, copper and blue and the colours have all worked well. Please make sure that you never leave your little one unattended with their glitter sensory bottle, we glue our bottles closed in class but do make sure that those bottle tops are going nowhere near mouths. Enjoy watching them being fascinated by the glitter it really does help their concentration levels and is a lovely calming visual activity.